“Little Bit More” takes timeless charisma and shakes it up with Jidenna’s clever wordplay, impressive bars, and Afrobeats-infused production. Sparks fly in the narrative and on the hook. It’s immersive, inimitable, and irresistible just like everything he does. 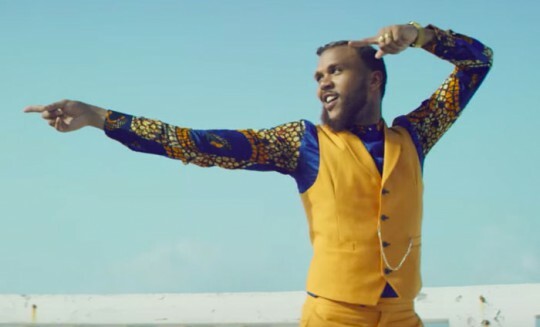 Read more about Jidenna and watch the video in full below. Jidenna is quietly becoming 2016’s most important artist. He recently ignited the sold out Barclays Center in Brooklyn during One Africa Music Fest alongside the likes of Wizkid, Davido, Tiwa Savage, and many more. Jidenna kicked off the summer in June with a stand-out performance live on the BET Awards Pre-Show debuting two new songs, “Little Bit More” and “Chief Don’t Run,” which were met with acclaim by both fans and critics alike. Jidenna leads by example. Confidently standing at the intersection of high fashion, globetrotting, acitivism, and groundbreaking art, Long Live The Chief functions as a statement for modern music and culture at large. Leading up to its release, he’s reached numerous milestones over the last year and a half. After being certified platinum and peaking at number #1 on Rhythmic Radio, “Classic Man” [feat. Roman GianArthur] received a GRAMMY® Award nod for “Best Rap/Sung Collaboration.” The success of this anthemic record earned Jidenna the 2015 Soul Train Award for Best New Artist. With show-stopping performances on The Tonight Show Starring Jimmy Fallon, The Today Show, American Idol, and both the 2015 & 2016 BET Awards, Jidenna continues to light up stages across the globe. Born in Wisconsin, raised in Nigeria, and living in cities across the U.S. including Los Angeles, the SF Bay Area, Atlanta, and Brooklyn, Jidenna possesses a cultivated perspective with the power to speak and to connect listeners everywhere. That’s precisely what he’s doing now.